This famous book, now republished in three easy to handle ebook volumes. Illustrated with dozens of line drawings by Eric Lewis. 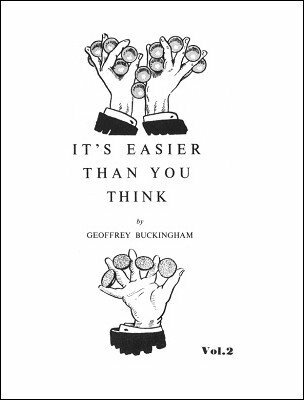 The finest coverage of billiard ball work in print, excellent material on coins, and a large number of variety tricks in the Buckingham style and tradition. 1st edition 1952, 72 pages; 1st digital edition 2018, 74 pages.